← Gazing over the valley. O Poseidon, far from the sea! 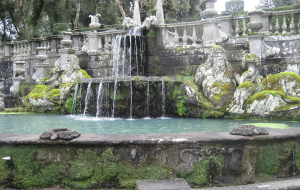 The God of the Oceans rests near the fountain where the water starts its journey to the sea. 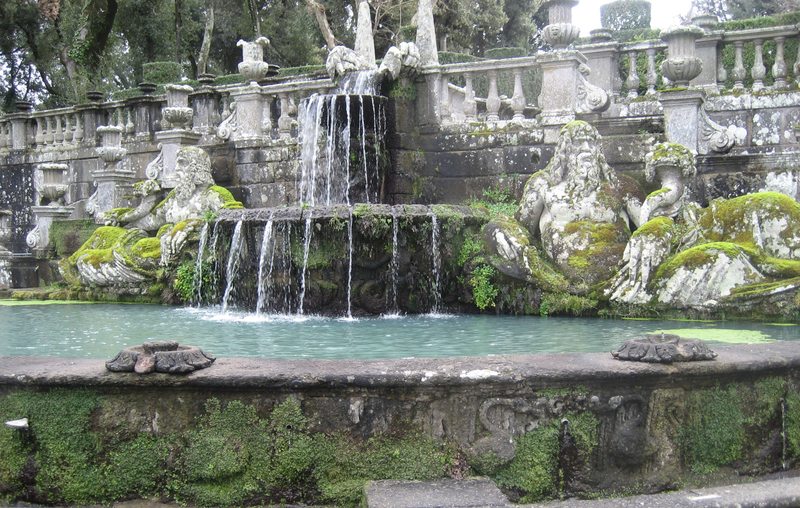 Renaissance garden designers were fascinated with ancient Roman gardens. They unearthed the ruins, ‘borrowed’ the statues for their own gardens and pondered translations of the ancient scrolls which described garden designs.